Sony would like to remind everybody that SCEA CEO Jack Tretton is not, in fact, consumer support, and you shouldn't email him to escalate your complaints to the right division. Really. Okay, let's bust open the file cabinet and sort this one under "Yeah, that's kind of silly": Our friends over at The Consumerist apparently got a message from a reader who had become frustrated in Sony's delays dealing with an issue regarding his PlayStation. The reader's solution? 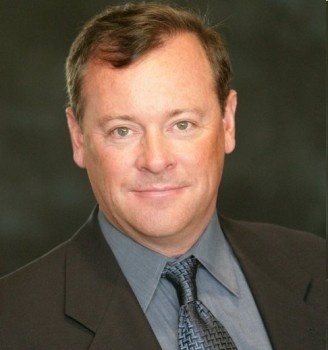 Email Jack Tretton, President and CEO Sony Computer Entertainment America - aka the man who calls all the PlayStation-related shots in North America. But that wasn't the craziest part: emailing the CEO actually worked, and said PlayStation owner had his complaint escalated. However, that didn't make Sony very happy. "Please don't post our CEO's email," the Sony response effectively said. "He has better things to do, like run a multibillion dollar corporation and complain about industry leaks." For now, while Sony would like to remind everyone that Jack Tretton is not customer service and that's what the PlayStation Blog et al are for, The Consumerist isn't budging. This is silly, but it's silly in a way that makes us snicker at the Internet. So just remember, faithful readers: Though you really shouldn't email Jack Tretton for customer support (and we're not going to post said email here), sometimes it actually works.